I am an embroiderer and mixed media textile artist working with free machine embroidery, using my sewing machine as a tool for drawing. 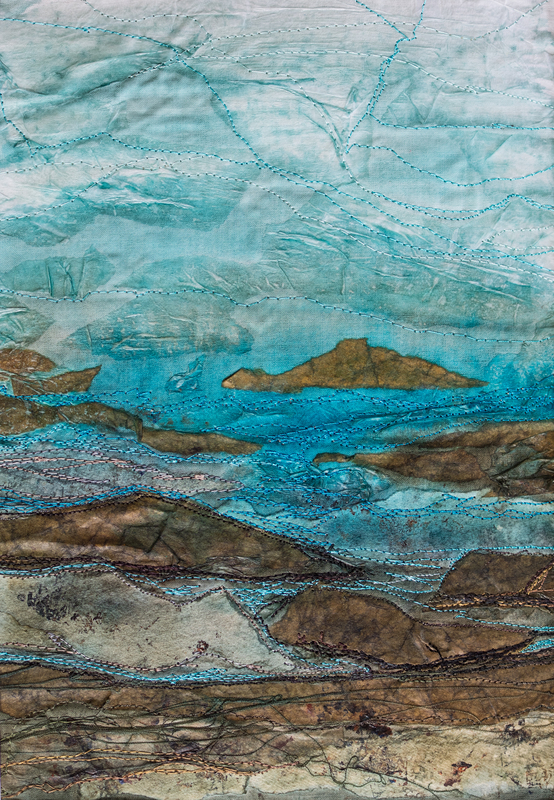 I work on a variety of different surfaces, using many layers of transparent fabrics to develop interesting fabrics. I also work with backgrounds of collaged fabrics and papers, often recycled, which I then paint and dye. I work in sketchbooks, sampling, drawing and exploring ideas. I have recently been working with ideas based on rocks, stones and lichens, exploring their textures and colours. I make embroidered pictures and smaller pieces including textile jewellery and covered notebooks. 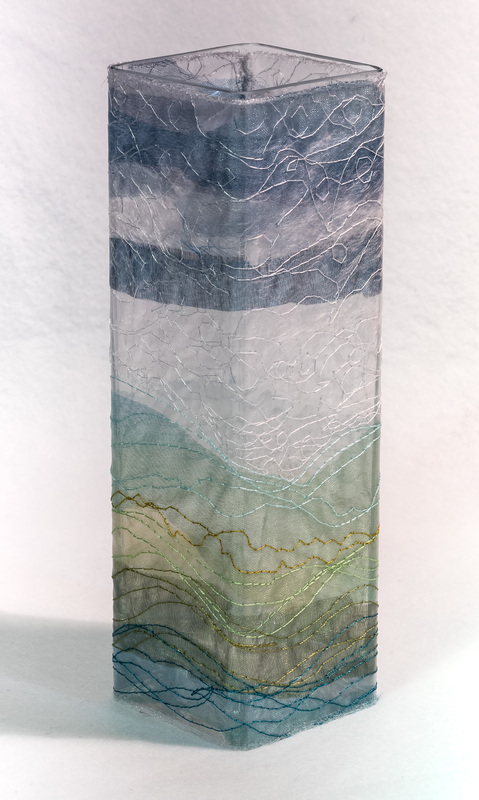 I also make vases/ vessels with fabrics and stitch, exploring transparency on a glass form. My aim is to produce work that is interesting, intriguing and reminiscent of places, this may be semi-abstract and partly of my own feelings and responses to a place. My influences are from the natural world, landscape and environment. The beauty and freedom of the wild open spaces I love to walk in. Location is a very important part of my work; the feeling of a place. Sometimes it may be very small details that I use in my work, sometimes a larger view.